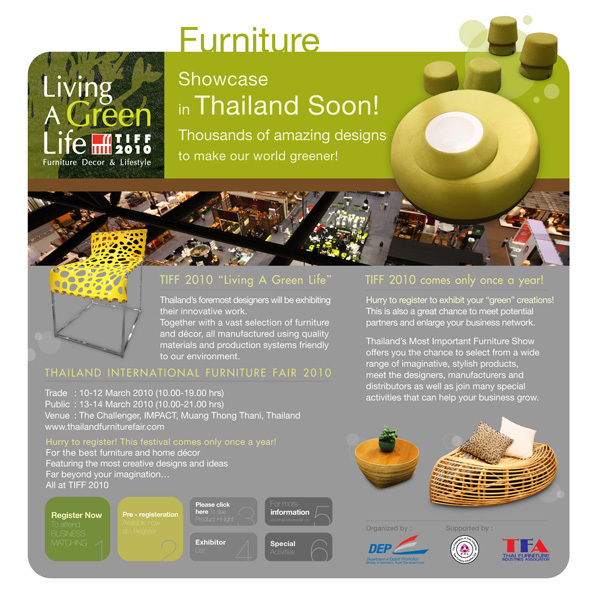 Find a variety of natural materials, including those that can replace wood, at TIFF 2010. 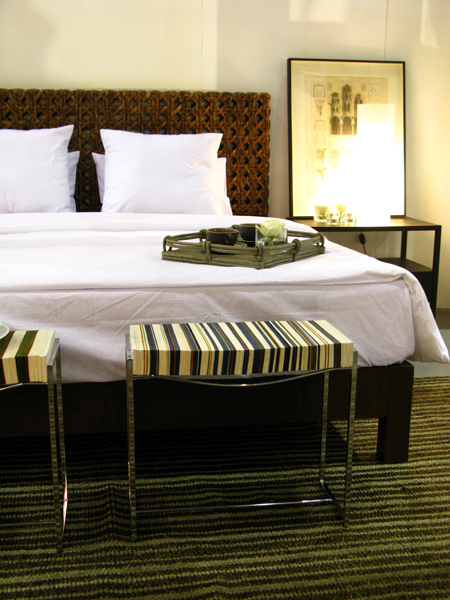 Visitors to TIFF 2010 can expect to find smart and stylish furniture and home fashions. 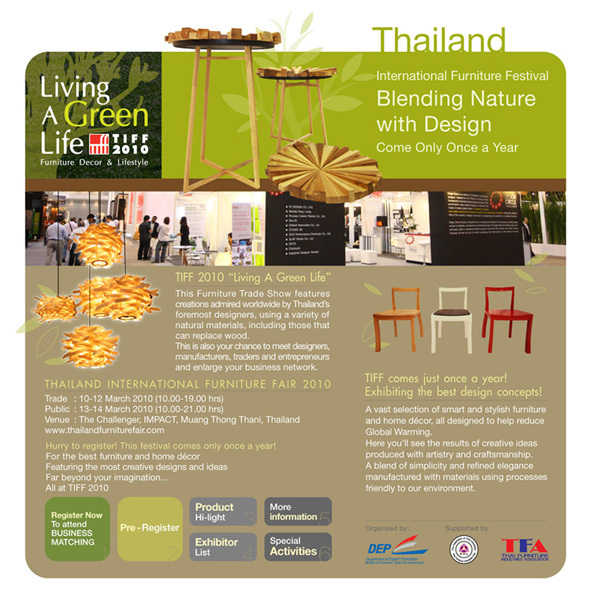 Thailand’s foremost designers will be exhibiting their latest, innovative works March 10-14, 2010 at the Thailand International Furniture Fair in Bangkok.